Nestled in the wilderness of rich flora and fauna. Hotel Satyam Paradise, does believe in making your stay a hospitable one, but it also believes in making your journey to the hills a complete experience. Offering sightseeing, taking you where innocent faces decked with smiles welcome every tourist and taking you to see the wildlife that is known to draw tourists from ever ending view. Recently get chance to stay with this property. Property is very good well maintained. Staff is young and energetic and always eager to help. Food is also fine. not very expensive, Easily one of the best places to stay overall. 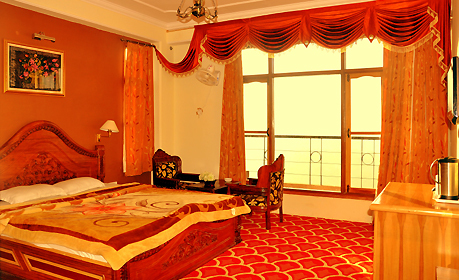 I have been to Shimla quite a number of times and have stayed there in almost all the hotels.it would not be right if I rate this hotel as one of the best, however I would categorize it as one of the best. The rooms are big and spacious the toilets are really clean( which really matters to me). A host of designer rooms with variety of styles & decor gives you a choice to select the ideal room to match your personal likes and expectations. Your every wish spells a command and our round the clock personalized services with smiling faces lightens up your mood. 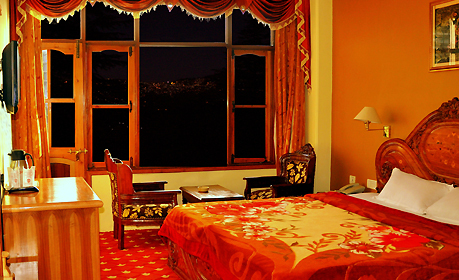 Offers well-furnished Luxury Rooms with extra space to experience the pristine beauty of Shimla. 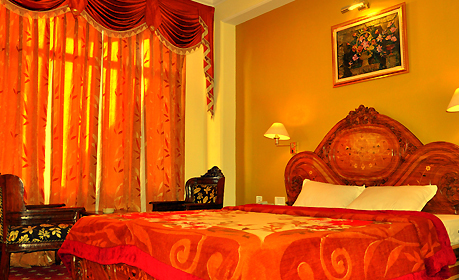 The rooms are equipped with modern amenities and boast of beauty around Mountains.